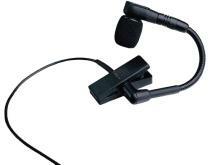 This wireless version of the BETA98H/C is a versatile solution for high-volume wind, brass or percussion. Gooseneck with clip-on clamp for secure fit and positioning. Cardioid, Condenser. 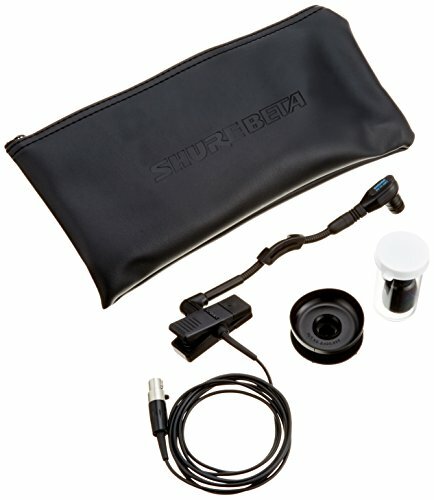 The Shure WB98H/C (the wireless version of the BETA 98H/C) is a premium cardioid condenser instrumental microphone that clamps onto the bell of wind instruments or onto the rim of percussion instruments. The integrated gooseneck and ratcheting swivel joint allows the microphone to be easily positioned and secured in place, and an isolation shock-mount reduces the transmission of instrument 'key noise' and other mechanical noise. A gooseneck angle brace is included to provide better retention of the microphone placement during more active performances. WB98H/C with 5.3 ft. cable terminated to 4-Pin Mini-Connector.